← I don’t want to like Yoga. There. I said it. This last bobbin of the merino/silk blend is taking a long time to finish, because I’m only able to spend about 15-20 minutes a day right now at my wheel. That’s part of my “lower the stress” program. I love spinning, and it relaxes me, but when I spend too much time at my wheel, other things don’t get done. And right now I have very little leeway in that regard. So I have the discipline to spend a little time at my wheel each day. And maybe I’ll finish this bobbin this week. If not, then next. It’s all good. 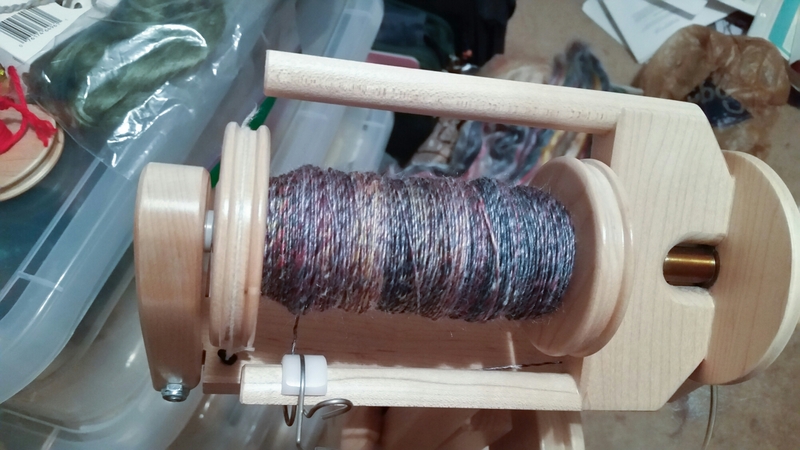 This entry was posted in Art, Fiber and tagged discipline, Merino-silk Blend, Self-care, Spinning. Bookmark the permalink.